I feel slightly silly blogging about stuffed-animals but if the countless amount of plush animals existing in my household are any indication, they are not only a crowd pleaser but also an absolute necessity. Sometimes it does the trick when nothing else seems to work. Really, is there anything more heart-warming then seeing your little one fast asleep while clutching their favorite tattered bear? There are a few new plushies on the block to add to your list. 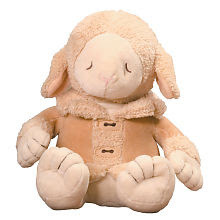 First up the soft and cuddly FLATOUTbear created by two Aussies sisters and made from 100% pure Australian sheepskin. They are shaped like a teddy bear but flat which is perfect for hugging, squeezing and falling asleep on top of. Truly gorgeous and luxurious! You can find the entire line, including a cute koala at Bright October. 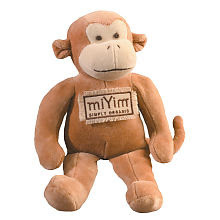 If Eco-friendly is your priority (makes sense considering these things are kissed and sneezed on hundreds of times) then you will fall in love with the velvety soft MiYim line of organic collectibles. Made from organic cotton that is untreated, unbleached, and unprocessed with color dyes acquired from nature. Find them, along with a lot of other healthy-living stuff at Maple Grace. News Flash: Toys-R-Us Goes Green! They have created an exclusive new line of environmentally friendly toys. They are available online this April 22nd, Earth day! Touche TRU! 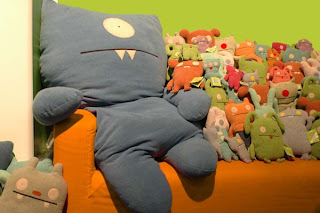 And of course the ever popular Ugly Dolls. So ugly they are adorable (don’t miss checking out their website, it’s sinfully hilarious) Don’t forget to order your handy Boon stuffed animal bag to store all these little creatures in. 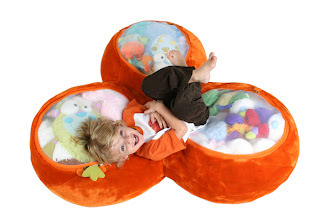 It doubles as a beanbag seat. Pure innovation, we love it! What a fantastic idea. I am not totally sure if that is likely, but who knows. Would you be kind enough to write another post, but from the opposite side of the fence.